Preventing osteoporosis – what really helps? A healthy balanced diet, exercise and load stimuli for the bones are the crucial factors for preventing osteoporosis. A healthy, active lifestyle gives you the best chance of stable and healthy bones. Even if bone loss has already begun (osteopenia), there is plenty you can do to help. There is no single answer to the question ‘what really helps?’ as there are many aspects which can help and as each person is unique there is no ‘one size fits all’ solution. Osteoporosis can affect people who are active and eat a healthy diet; it can also affect people with a genetic predisposition. Other illnesses or medication can also increase someone’s chance of having osteoporosis. Despite the many influencing factors and different ages and types of people affected, there are some similarities in effective treatments to prevent and treat osteoporosis. First, we need to understand the disease. Osteoporosis describes three simultaneous changes in bone tissue: low bone mineral density, deficient repair mechanisms and poor bone substance. The main risk lies with its slow and silent progress: in the early stages without signs or symptoms. Most people don’t notice it developing and it can take up to 10 years before a symptom – the first bone to break – uncovers the damage already done by the disease. Around one in two women and one in five men are at risk of osteoporosis. Although it is never too late to do something about it, it is better to prevent the disease and take action at an early stage of diagnosis with proven targeted treatments. There is a connection between the force acting on the bones and bone quality. Anyone affected can use this dynamic effect – known as Wolff’s Law – by creating forces on their bones to stimulate a reaction. As you get older, the activity of the muscles declines, one possible consequence being that bone remodelling becomes imbalanced. Another consequence is that postural stability decreases and the risk of falling increases. Taking physical exercise can help significantly. In 70-80% of cases, a fracture is caused by a fall. Falls prevention is therefore crucial to prevent fractures: building strength and balance control through targeted exercises and classes for older people can help: ask your GP or local leisure centre what they can offer. And remember, because osteoporosis develops silently and imperceptibly for many years, prevention is better than cure. If you want to do something for your bones to prevent osteoporosis, then an active lifestyle and a healthy diet with plenty of vitamins, trace elements and minerals – especially calcium and vitamin D – will help in the first instance. Just as important for the muscles and cardiovascular system are sport and physical exercise. For the bones themselves, remember it is not so much the movement from exercise that is crucial but the load. Short loads repeated frequently are ideal. This is where low intensity vibration treatment comes into its own: it supplies lots of stimuli that repeatedly subject the bones to tiny loads. Where movement works to build muscles, low intensity vibration works to build bones. The type of load and low level intensity are both key to success. 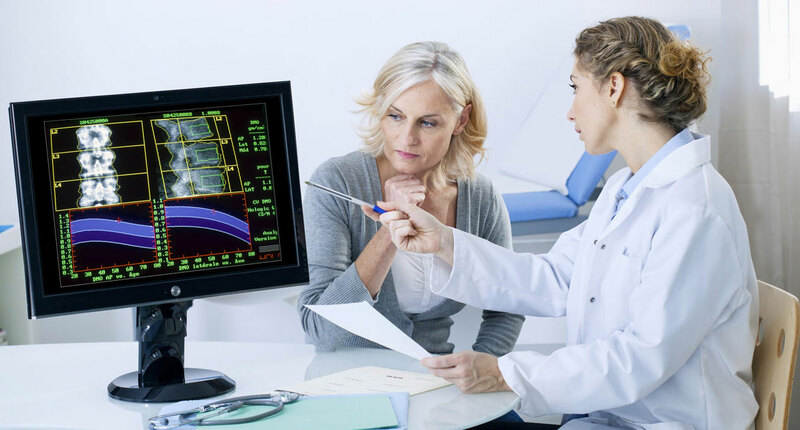 Having a diagnosis of osteoporosis can help you identify the risk you have, the extent to which any bone loss has occurred and a starting point from which to progress. After all, if you don’t know your starting point, how do you know if treatment and lifestyle changes are helping? The first step is to have a bone mineral density measurement, this should be carried when you are first diagnosed as being at risk. The early detection of osteopenia (initial stage) or osteoporosis is a very important step within the scope of prevention. You need to know what you’re dealing with to deal with it appropriately. What is bad for bones? There are several factors that are bad for bone health – but they’re not all easy to avoid day-to-day such as a genetic predisposition to osteoporosis or limited physical activity due to disability or being infirm. However, by understanding the key factors better people who can take precautions to help prevent osteoporosis where possible. Several key things bad for bone health are lack of exercise, improper diet, some drugs such cortisone (glucocorticoids), smoking and excessive alcohol consumption are all well-known to have detrimental effects on bone. For people affected and those who fear the side effects from drugs or already take too much medication, a natural intervention to help build up bones is desirable: Low Intensity Vibration (LIV) has proven to be effective and has no contra-indications. Lack of physical activity is bad for the bones and can contribute to osteoporosis. Exercise isn’t easy for many people as motivation often declines as people age and lack of mobility makes it hard to exercise, particularly with the progression of more serious diseases such as Multiple Sclerosis or Parkinson’s Disease. Pain is also a reason quoted among people who don’t get enough exercise. Aside from osteoporosis, lack of exercise leads to an increase in many other health complaints, mainly because the cardiovascular system is not challenged enough and the muscles become weaker. The bones also suffer through lack of loads and inactive muscles not pulling on the bones. There is no doubt physical activity is healthy for muscles, circulation and bones. Vibration treatment is the ideal addition to a healthy diet and active lifestyle, if you want to do something for your bones. The therapy should, however, be within bounds and the peak forces adjusted to suit your physical health. Remember, not all vibration treatment is the same – WBV training is primarily targeted at muscle and was originally designed as exercise for fit and healthy individuals. To help build healthy bones and prevent or treat osteoporosis, safe and effective low intensity vibration with Marodyne LiV is what you need.